The largest state east of the Mississippi River, Georgia is a perfect introduction of everything the South has to offer. A trip to Georgia affords tourists the chance to experience stunning natural views, pristine wilderness and places with incredible cultural significance. 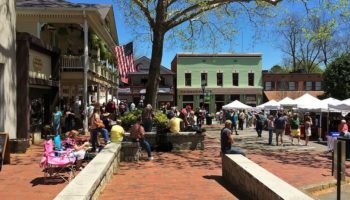 Everyone from hikers to history buffs can find something exciting or relaxing to do in the Peach State. Among the best places to visit in Georgia are also beautiful state parks as well as the sprawling metropolis of Atlanta. Callaway Gardens is an expansive resort located in the southern foothills of the Appalachian Mountains in Pine Mountain that is a perfect spot to relax and commune with nature. More than 750,000 people visit the gardens each year. The resort features a spa, lakes, a butterfly habitat, golf courses and the John Sibley Horticultural Center. Trails are available for hiking and biking. A 10-mile (16 km) trail known as the Discovery Bike Trail takes guests through the gardens. Within the grounds is Robin Lake Beach, the biggest man-made white sand beach in the world. Amicalola Falls is Georgia’s tallest waterfall, measuring at 729 feet (222 meters) high. It is actually the largest falls in the Southeast. 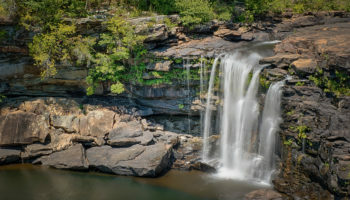 Amicalola Falls is located within the Amicalola Falls State Park in Dawsonville, between Ellijay and Dahlonega. Tourists have several options to view the falls ranging from taking an easy pathway to traversing a more difficult trail that includes stairs. Visitors can stay in the campground, cottages or a mountaintop lodge. 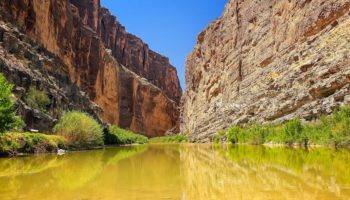 Several trails in the area offer hikes suitable for day trips or shorter durations to meet the needs of beginner and expert hikers. Stone Mountain Park boasts the quartz monzonite dome monadnock called Stone Mountain. The bas-relief on the mountain’s north face is the biggest in the world. It features a sculpture called the Confederate Memorial Carving of Confederate President Jefferson Davis, General Robert E. Lee and General Thomas J. “Stonewall” Jackson. The top rises 825 feet (251 meters) above the surrounding area and provides a beautiful view of Atlanta. The nearby museum Confederate Hall has information about the mountain’s geology. 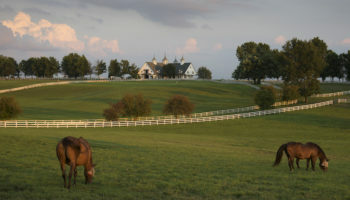 There is also the Antebellum Plantation and Farmyard, which is an open air museum complete with farm animals that visitors can pet and 19 historic buildings meant to depict a pre-Civil War plantation. Cumberland Island National Seashore is a preserved wilderness area near St. Marys, Georgia. It features undeveloped beaches and places of historic interest as well as protected habitat areas for a variety of animals and plant life. Visitors may camp on the seashore but should be advised that bathrooms and access to drinking water are available primarily on the south end. People can rent bicycles at the Sea Camp Dock. Visitors can access the shore by taking the Cumberland Queen ferry but reservations are recommended. 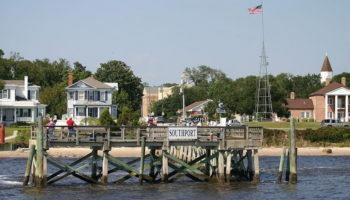 A museum and visitor center are located near the ferry dock and provide information to help travelers plan their trip and explain the area’s rich history. Chattahoochee National Forest is located in the northern part of the state and is connected to the Oconee National Forest. Within the park are hundreds of miles of trails as well as several campgrounds, streams and rivers. It’s an outdoor enthusiast’s paradise. 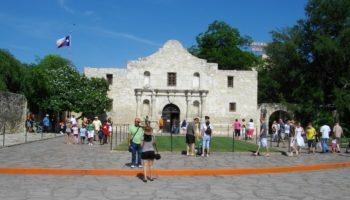 Civil War buffs can visit locations where many battles were fought. Chattahoochee boasts many stunning views and towering trees in contrast to Oconee, which is mainly flat with some small hills. 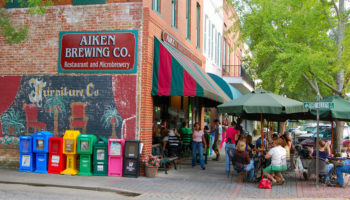 Macon is a city in central Georgia nicknamed the Heart of Georgia. It is around 85 miles (137 km) south of Atlanta and is one of Georgia’s three Fall Line Cities where the rolling hills of northern Georgia meet the south’s flat plains. It makes for an attractive stop, especially when its cherry trees erupt with blossoms in late March. Located near downtown Mason is the Ocmulgee National Monument where lies some of the state’s biggest earthwork mounds created by Native Americans, including burial mounds, temple mounds and a spiral mound. Every September, the Ocmulgee Indian Celebration takes place at the monument, bringing representatives from many Native American nations to show their artwork and give performances. Only 11 miles (18 km) southwest of Folkston lies the Okefenokee National Wildlife Refuge. A beautiful place to visit in Georgia, the refuge is home to the huge Okefenokee Swamp complete with islands, cypress trees and wet prairies. A variety of animal life resides in the refuge, including alligators, raptors, bears and bobcats. The swamp is well-known for its amphibian population though it features a rich human history for Native American inhabitants and early settlers. No trip to Georgia’s Atlantic coast would be complete without seeing the Golden Isles of Georgia located on the coast approximately halfway between Savannah and Jacksonville in Florida. The area includes the city of Brunswick on the main land and four larger islands: St. Simons Island, Little St. Simons Island, Sea Island and Jekyll Island. There are also many smaller islands called hammocks that visitors may mistake for continuous land connecting the mainland to the four barrier islands. Visitors can enjoy kayaking, camping and beautiful beaches. The St. Simons Lighthouse located near the pier is one of only five left in the state. 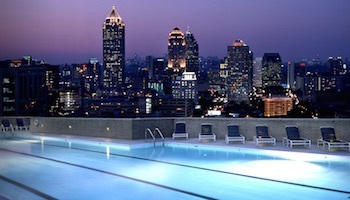 The capital and largest city of Georgia, Atlanta is a sprawling, modern city with three urban skylines rising up from the picturesque scenery of rolling hills, pine forest, magnificent old oak trees and charming magnolia and peach trees. Established as a railroad terminus in 1837, Atlanta has emerged as the leader of the New South. The city’s top attractions are the CNN Center, World of Coca-Cola and the Georgia Aquarium, which features the world’s largest indoor aquarium. 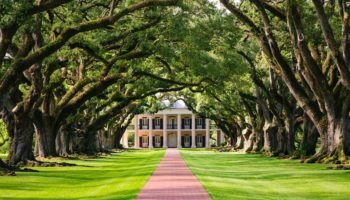 Other major places of interest include the boyhood home, church and final resting place of Martin Luther King, Jr., and the home of “Gone With the Wind” author, Margaret Mitchell. 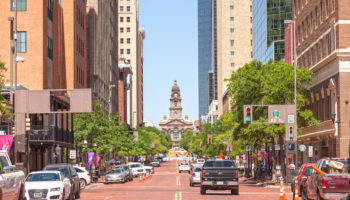 The quintessential Southern city, Savannah draws millions of tourists every year to its charming scenes of Victorian architecture, cobbled streets, moss-draped oaks and leisurely pace. Lying on the Atlantic Coast in eastern Georgia, Savannah is the state’s oldest city, rich in history, hospitality and natural beauty. A walk around the Historic District’s cobbled streets allows views and tours of beautiful old mansions and historic sites. It also includes lovely parks, huge oak trees, Victorian homes and important memorials. Another tourist magnet is Factor’s Walk, a row of restored, old warehouses leading down to the riverfront, which now house attractive shops, galleries and restaurants.